Sundrops sings from a heart crowded with feeling. The flower known as the sundrop grows bright and yellow in fields from Nova Scotia to Florida. It's a member of the primrose family, short and sweet and delicate. The music made by Boston-based Sundrops is just that - stripped-down songs that cut straight to the core. Their new record, Whatever’s Gonna Make You Want Me, is filled with touching desperation, a voice singing from a heart crowded with feeling, worn right on its sleeve. It’s a raw sort of emotion that's primarily found in diaries and through tears. The brief "High (Please)" opens the album with half singing, half speaking lyrics like, “Just being around you makes me high / and I always hated getting high.” The words are potent and their style matches the sparse instrumentation found throughout the record. There’s clear imagery too, a small animation moving through your VCR. The album brings to mind fall on the East coast, beautiful and perpetually dusky. Trees are slowly shedding their leaves and coating the ground in red and orange. There's gloom all around but also a tinge of sweetness in the air. A sense of something looming in the distance: “A mountain lake, a silver cross / You say you conquered your bad thoughts.” That’s one of my favorite moments on the album, on the song "Home Safe." I wonder whether thoughts can ever be conquered. Later in the song they sing, “Like when it's safer walking home alone / Than to get in a car with the boys you know.” When you hear something like that, it’s devastating because it says so much by saying so little. And because it’s true. 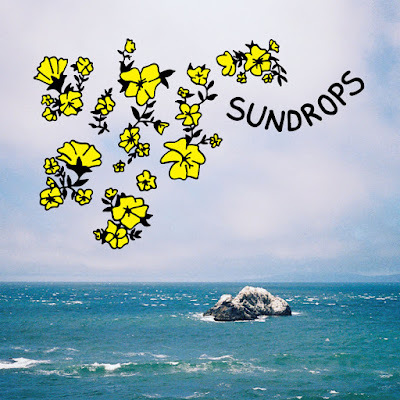 Sundrops' sound is reminiscent of the likes of Kimya Dawson and Best Friends Forever with vocals that are endearingly off-kilter and possessing a brevity that tells you all you need to know while keeping you wanting more. The themes that come up in Whatever’s Gonna Make You Want Me include unrequited love, drunk texts, long distance relationships, breakups, and sleeping through the sadness. They address it all with admirable honesty and a strange, refreshing optimism. The last song is called "Dreaming" and it’s the second longest track on the album. The name's musically apt - the track is filled with dreamy chords that drift into each other in a slow melody. They sing, “I had a dream you almost kissed me / Then you broke apart in fleshy crumbles / I tried to catch your fractured skull / But it was only plastic and I let it fall.” Later they repeat the phrase, “In another life, in another life.” It's sort of a sci-fi nightmare, but done so sincerely that when I listen to it, it feels like Sundrops is playing it on my floor, right next to me. This whole album makes me warm and nostalgic, like the smell of a fireplace on a cold winter night. It’s truly special. Listen to Sundrops on bandcamp. Drew Lucia loves the movie Shrek and is scared of dying. She makes videos and paintings and uses Shazam excessively. You can find her on twitter at @mountaindru_ and some of her stuff at http://cargocollective.com/drewlucia. © 2012 THE LE SIGH. Powered by Blogger.